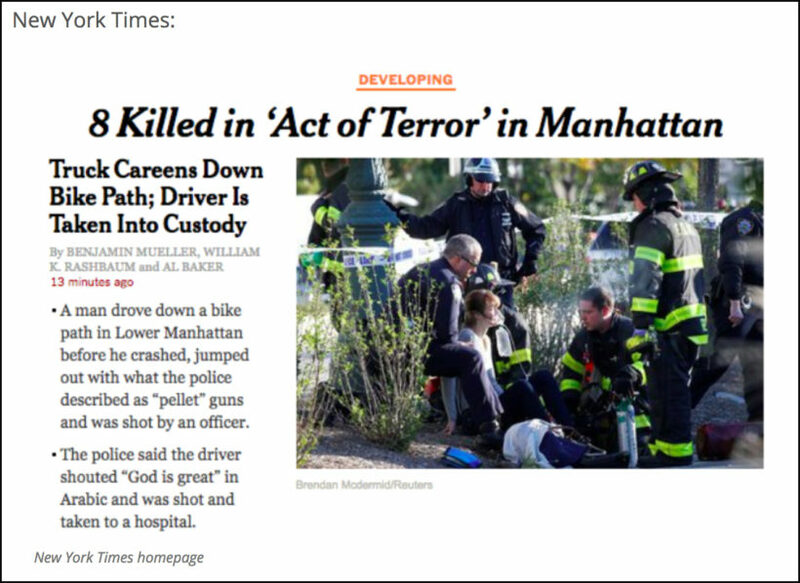 The New York Times and other media outlets buried the phrase “Allahu akbar” in reports on the man who carried out what authorities are treating as a deadly terror attack in New York City on Tuesday. “The police said the driver shouted ‘God is great’ in Arabic and was shot and taken to a hospital,” the paper stated. Translation: the man was heard yelling “Allahu akbar,” a phrase that is obviously a strong indicator he is an Islamic extremist, regardless of its English translation. 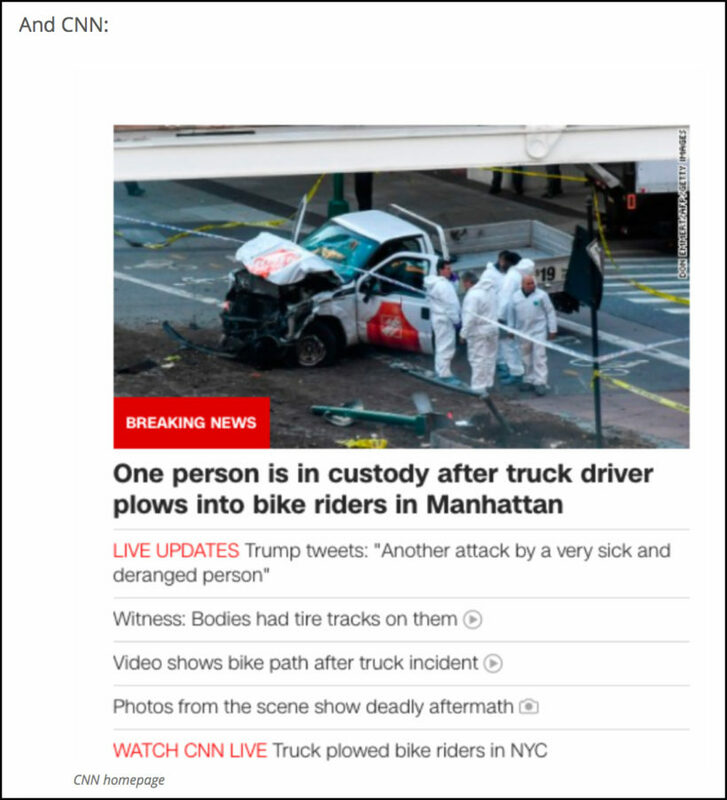 CNN also chose not to mention the Islamic phrase on its homepage. The man killed at least eight people and injured 15 others when he plowed into a group of people in a pickup truck. 1. 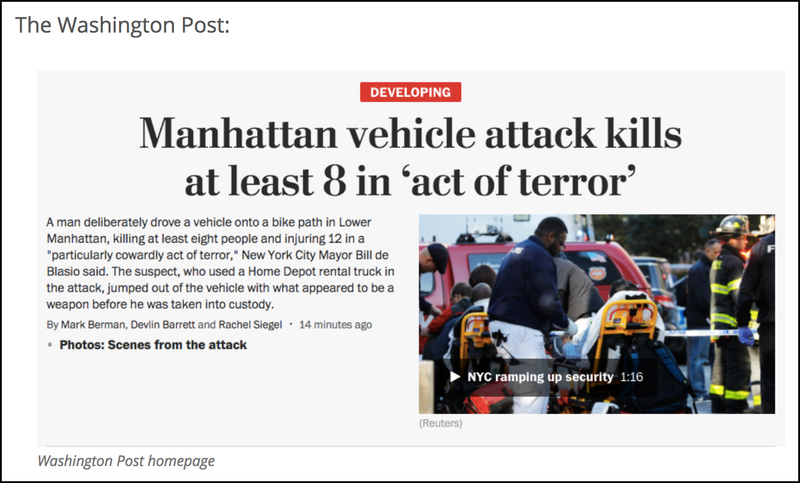 Multiple eyewitnesses said the terrorist yelled “Allahu Akbar” after running over and killing multiple people in NYC. What type of bias do the New York Times, Washington Post and CNN display in not including this key information in their initial reports? 2. Why do you think these media outlets chose to publish reports with this fact missing? Why is it important?